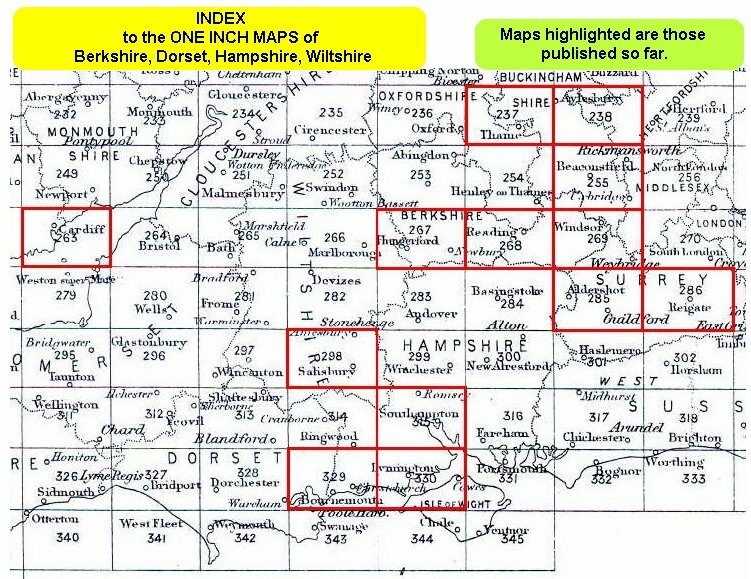 Here are various Index maps covering the One Inch Maps for England & Wales. The maps published so far have been highlighted in yellow. 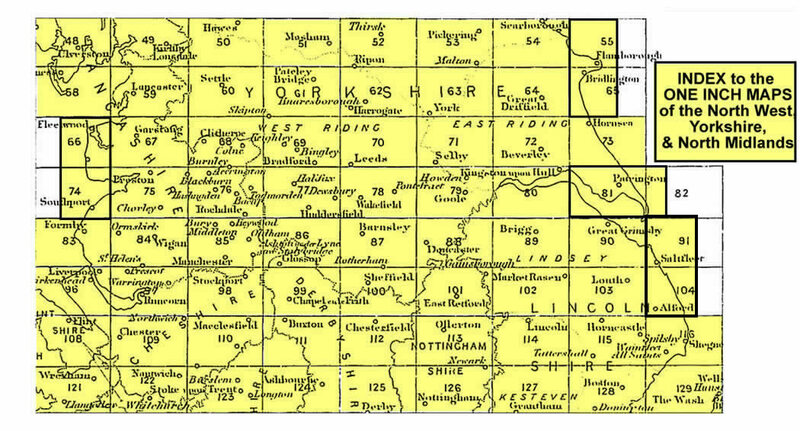 The index maps have been divided into areas to ensure easy opening. 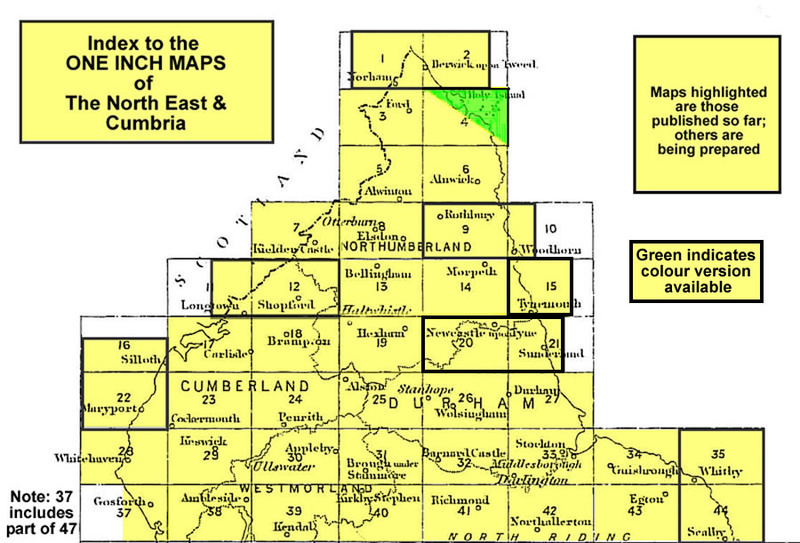 Index map for the North East & Cumbria including part of Yorkshire. Index map for the North West, Yorkshire & North Midlands. 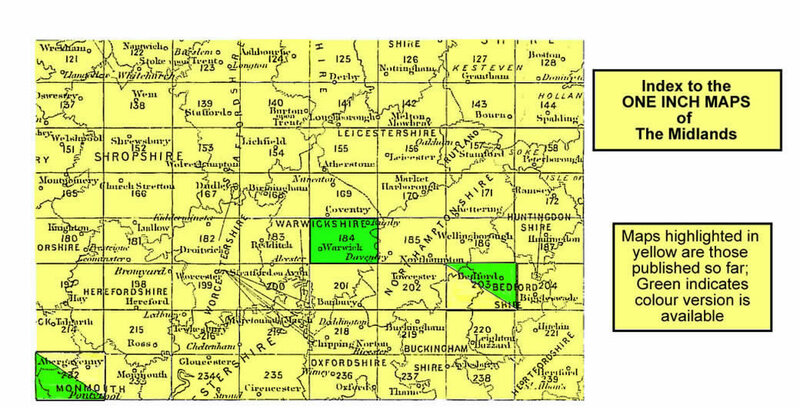 Index map for the Midlands. Index map for East Anglia & Eastern Counties (incl Beds, Bucks, Cambs, Essex, Herts, Hunts, Leics, Middx, Norfolk, Suffolk. 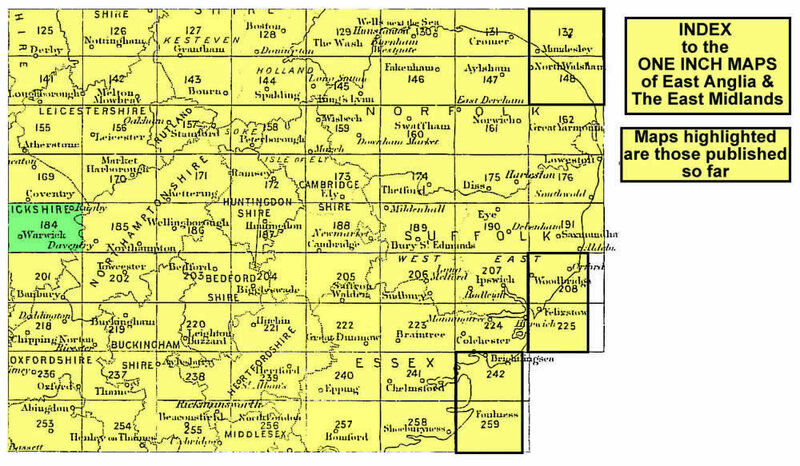 Index map for Wessex & Southern England, incl Berks, Dorset, Hampshire, Wiltshire & parts of Gloucs, Somerset, Surrey, Sussex etc. 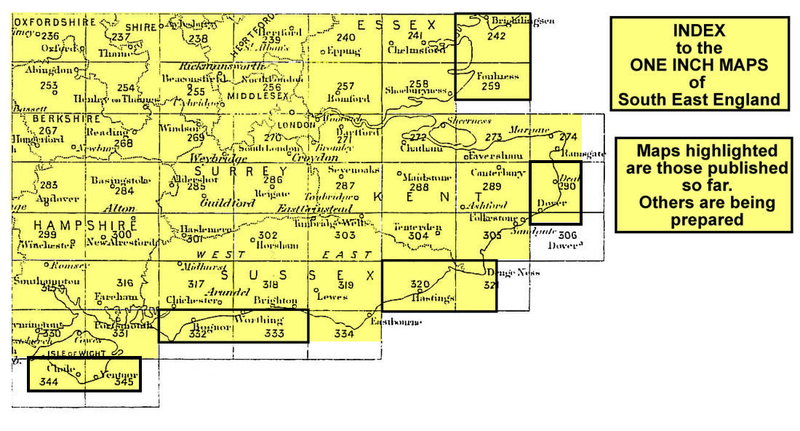 Index map for the South East including London & the Home Counties. 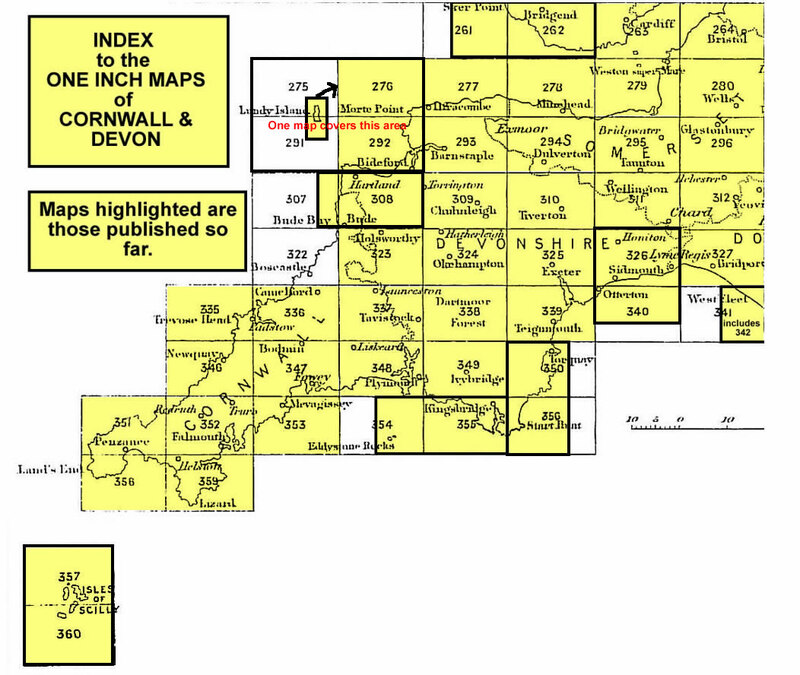 Index map for Cornwall & Devon incl part of Somerset. 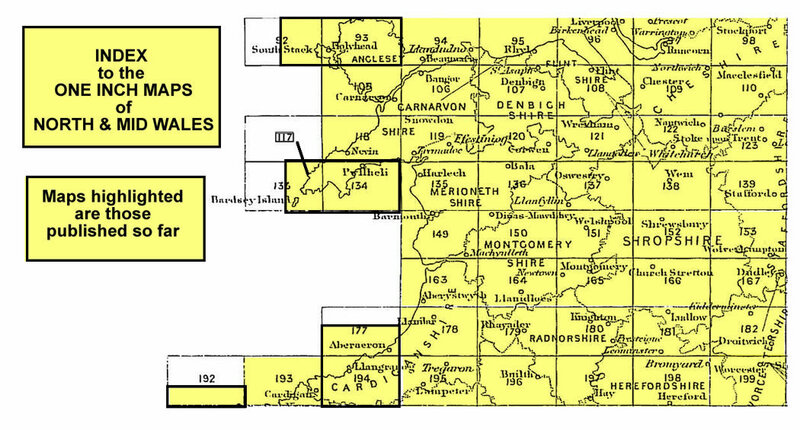 Index map for North & Mid Wales. 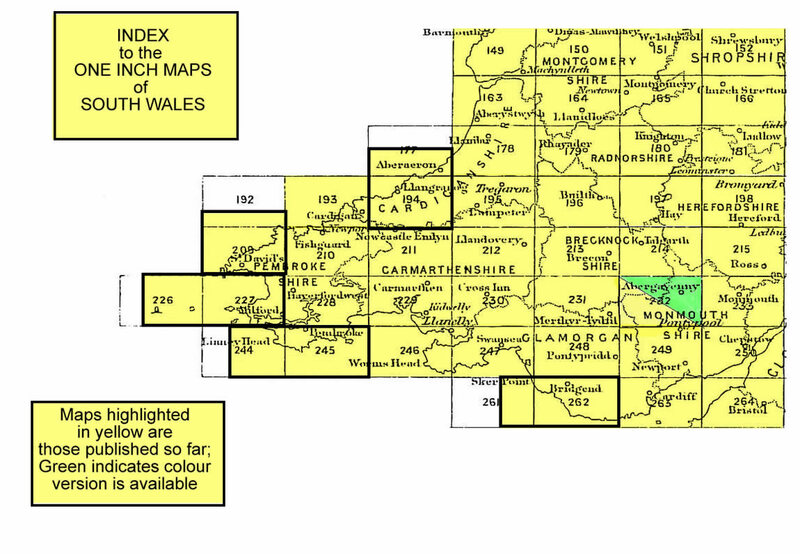 Index map for south Wales.